Steve Schmidt clearly is a “never Trump” Republican. He once worked for U.S. Sen. John McCain’s 2008 presidential campaign. 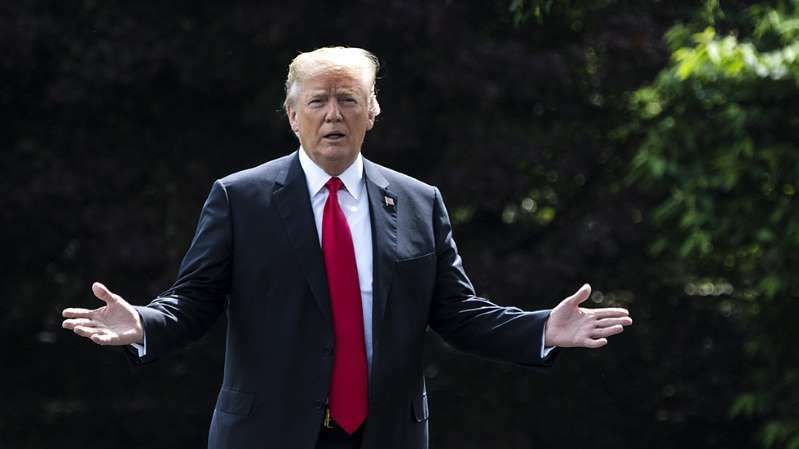 He is a close personal friend of the stricken senator and no doubt has taken personally the insults that Donald J. Trump has tossed at Sen. McCain while the senator is battling a life-threatening illness. Schmidt has coined perhaps the most interesting verb in recent political discourse. In a tweet, he wrote that the president has “beclowned” himself. I’ve never heard the term before. Let me know if you have. My point here is that when you have a serious Republican saying such things about an ostensibly Republican president, then the target of these epithets would seem to have a problem. Except that such criticism not only rolls off Trump, it doesn’t register with those who continue to support this individual’s world view … such as it is! Schmidt isn’t the world’s perfect political operative. He had a hand, after all, in persuading Sen. McCain to select Sarah Palin as his 2008 vice-presidential running mate. To his credit, Schmidt has owned up to the mistake he made. However, Schmidt is making no mistake in asserting Donald Trump’s profound unfitness for the job he currently occupies. Not quite five years ago, I posted a blog item that discussed the departure of former half-term Alaska Gov. Sarah Palin from the Fox News Channel. That was in 2013. She is still missing in action. Don’t misunderstand me. I don’t wish her to be found. I prefer the national discussion to be void of Sarah Palin’s voice. The government is shut down. Donald J. Trump — whom Palin endorsed early in his presidential run — is making a mess of the presidency. The 2008 Republican vice-presidential nominee has been silent. It’s not that I miss hearing her. It’s just that after Fox cut her loose I feared she wouldn’t go away quietly. Silly me. I believe she has. Yeah, some of her adult children continue to get mixed up in entanglements with the law on occasion. Her son, Track, recently got into a big-time beef with his father — Sarah’s husband — that allegedly involved a firearm. Palin does hold a kind of special place in our recent political history. She made huge headlines when she joined Sen. John McCain on the GOP ticket in 2008. She became an immediate star. Her stardom lasted for just a little while and began to fade when it became apparent to millions of Americans that Sen. McCain’s desire to shake up his race for the presidency turned out to be, um, a big mistake. The past is past. The present day has produced a different type of political climate dominated by another highly unconventional politician. I refer to the president of the United States. My hunch is that Donald Trump wouldn’t dare tolerate another politician hogging the limelight. Just maybe, Sarah Palin has gotten the message. Donald J. Trump’s recent guests at the White House have drawn some chatter around the country. Sarah Palin, Kid Rock and Ted Nugent came calling on the president. I won’t discuss the former half-term Alaska governor (and 2008 Republican vice-presidential nominee) or Kid Rock in this post. Nugent’s presence in the White House, though, is worthy of a brief — and unkind — comment from yours truly. The Motor City Madman disgusts me at many levels. The idea that he would darken the White House door — the house that belongs to you and me — is revolting. “Nugent once referred to former President Barack Obama as a ‘mongrel.’ He has said he wanted to shoot former Senate Majority Leader Harry Reid, and called for Obama and Hillary Clinton to be assassinated. In 2012, after making a threatening remark about Obama, Nugent was the subject of a Secret Service investigation. 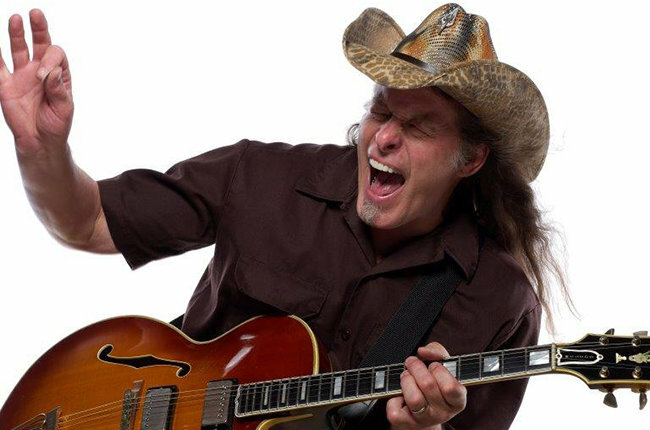 It’s not Nugent’s politics that should disqualify him from entering the White House. I get that he’s a political conservative; he’s an avid Second Amendment activist. That’s all fine as far as it goes. We’re all entitled to our points of view and political opinion. However, this washed-up rock guitarist has a lengthy record of uttering profoundly hideous diatribes against people with whom he disagrees. The “mongrel” comment about the former president is just one of them. The notion that the current president of the United States would welcome someone who has spoken so disgracefully about a former president demonstrates why so many millions of Americans believe he is unfit for the office he occupies. Palin? … Palin? … Palin? I am risking getting some grief from readers of this blog by mentioning it … but where is Sarah Palin? We all remember the former half-term Alaska governor, the 2008 Republican vice-presidential nominee, the former Fox News “contributor,” the former reality TV celebrity. She was an ardent and vocal critic of the Affordable Care Act. You remember that, too? She was out there yapping about “death panels” and how bureaucrats would determine who gets to live and who must die. Palin also was an equally ardent supporter of Donald J. Trump’s candidacy for president and was thought to be a possible selection for veterans affairs secretary when the president was picking his Cabinet. With all the debate and discussion about “repealing and replacing” the ACA, I keep waiting for Palin to weigh in. I await her pearls of wisdom about the best way to replace the ACA. Where in the world is she? Has she retreated to Wasilla, Alaska, from where she emerged in 2008 to become U.S. Sen. John McCain’s running mate? I know what you’re thinking about yours truly: You’ve trashed Palin incessantly; you cannot contain yourself every single time she opens her mouth; you don’t take her seriously. Why do you want to hear from her? My answer? I don’t know. I just do. She did become a major political figure, if only for a brief period. Running for VP on a major-party ticket made her a big deal. The McCain-Palin ticket did garner more than 59 million votes in the 2008 election — which ain’t bad, man! Palin did become a darling of political conservatives, even as she went “rogue.” Her Fox colleagues welcomed her, as did those who watch the cable channel. I am going to presume, moreover, that she retains a considerable fan following among those very conservatives. I’m not one of her fans. However, she bitched up a storm about the ACA when it was being debated in Congress and then enacted into law. Here’s your chance, Sarah. Speak up! Tell us how we should provide a better health insurance plan for Americans. Half-Term Gov. 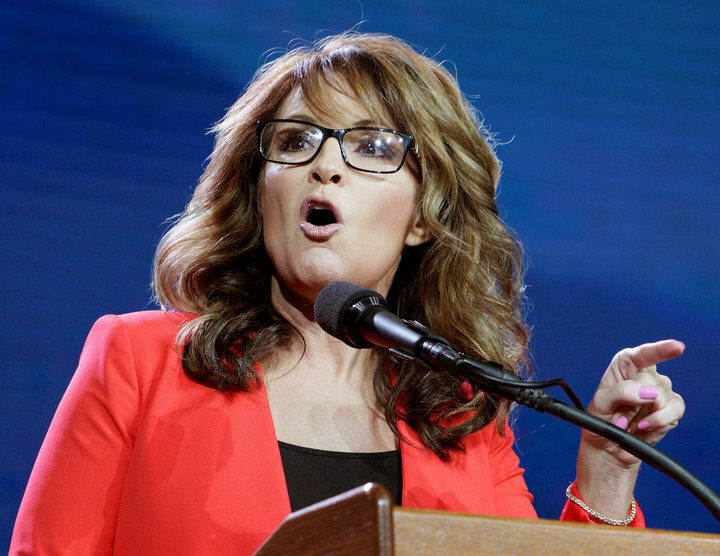 Sarah Palin thinks she’s nailed it with a major foreign policy solution. The United States should just pull out of the United Nations over the U.N. Security Council’s vote to condemn Israel over its building of settlements along the West Bank, according to Palin. That’s it, says the one-time Alaska governor. Let’s just quit the U.N. and lose our still-powerful voice on the Security Council. Let’s just leave it to others to make decisions critical to U.S. foreign policy and internal security. Palin’s foreign policy chops are, shall we say, limited in the extreme … which is to say she doesn’t know what she’s talking about. 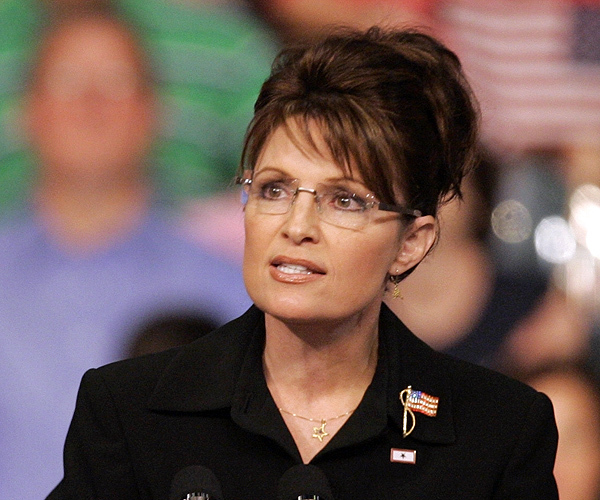 Palin ran for vice president on a Republican ticket led by John McCain in 2008. After the McCain-Palin ticket got trounced by Barack Obama and Joe Biden, she quit her governorship in the middle of her first term. Now this quitter wants the president-elect to listen to her “advice” on how to handle a vote on the Security Council? She obviously disagrees with the decision by the United States to abstain from the Israel condemnation vote, rather than veto it as we have done in the past. Well, I disagree with the decision, too. Does anyone — other than, say, TEA Party members of the GOP — believe we ought to pull out of the U.N. over this single vote? Give me a break. The United States of America retains a significant voice in the international body. It shouldn’t toss it in the crapper in a fit of pique. Barack ObamaJohn McCainSarah PalinSecurity CouncilU.N. I cannot let this time of the year pass without commenting on a typically ridiculous rant offered by the former half-term Alaska governor, Sarah Palin. The 2008 Republican vice-presidential nominee just had to go off on the Obama family because it sent out “Happy Holiday” cards during this season. 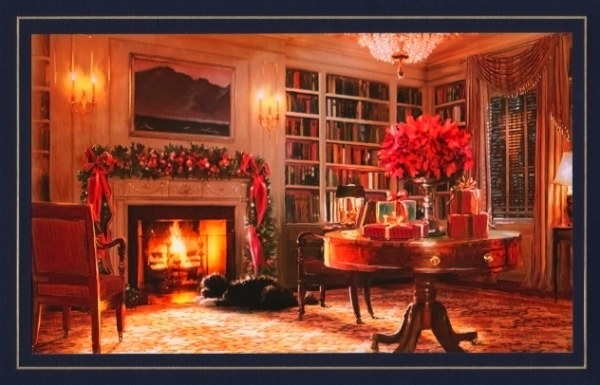 The card features a Christmas-like image of a fireplace and Bo, the Obamas’ dog sitting in front of the crackling fire. C’mon, Sarah! Didn’t you see the poinsettias in the picture? They’re universal symbols of Christmas, aren’t they? As someone who grew up in the Christian faith — I was baptized in the Greek Orthodox Church and became a Presbyterian after I got married more than 45 years ago — I’ve never had a problem with someone wishing “holiday” greetings during this time of year. And I have grown weary of those who keep getting their hackles raised when they see others do so. As I keep noting on this blog, the Constitution declares that there shall be “no religious test” for anyone seeking public office. The Obama family, therefore, need not prove to anyone that they believe in the same God as most Americans. But the “Happy Holidays” greeting is a simple reminder that the nation’s head of state recognizes that not every American celebrates Christmas. Yes, this remains a festive time of the year. So, the first family has chosen this year — as it has during their time in the White House — to celebrate the holiday in a more ecumenical manner. Some first families have chosen to emphasize the religious aspect of the season. I honor that desire, too. In this joyous season, though, I have to take mild umbrage — it’s not all that severe, given that it’s Christmas — at a politician yapping about the first family’s choice of message to send out during this holiday season. Put another way: Zip it, Sarah! This will conclude my snarkiness during the holiday season. I’ll be commenting on this blog throughout Christmas Eve and I might even add a comment or two after we see what Santa brought us during the night. I’ll get back at it, though, after Christmas. The new year awaits and there will be so-o-o-o much fodder for us to ponder. 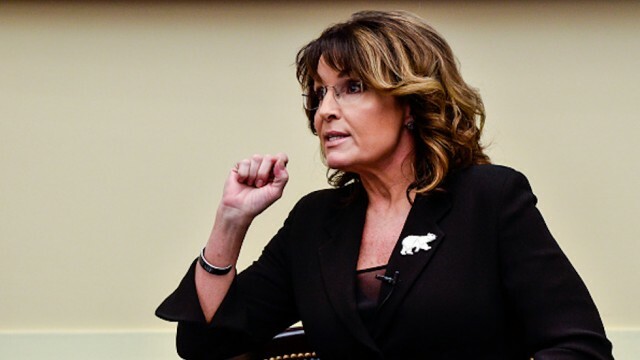 On second thought, Palin talks herself out of job? Sarah Palin must not want a job in the Trump administration after all. How else does one explain the former half-term Alaska governor going after the president-elect’s deal to save those Carrier jobs in Indiana? She calls it “crony capitalism,” which is shorthand for a policy that gives tax breaks to political allies and large corporations. Donald J. Trump took credit for allegedly persuading Carrier — the Indiana-based air conditioning and heating company — from moving jobs off shore. In exchange, the company was able to get a big tax break from the state of Indiana, which is governed by Mike Pence, the soon-to-be vice president of the United States. 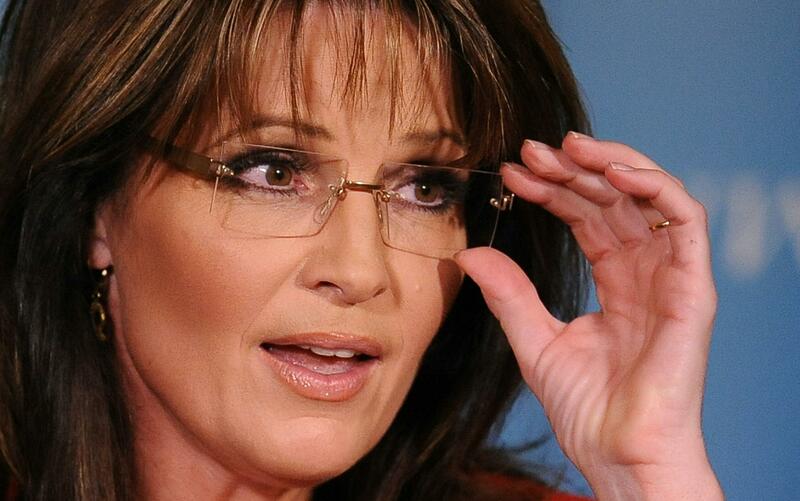 Palin, meanwhile, had emerged as a possible candidate to become secretary of veterans affairs. Ugghh! Perish that thought. Now she pops off — goes “rogue,” if you will — by declaring the Trump deal with Carrier is no good. OK, the Carrier deal has nothing to do with overseeing veterans issues. So, is Palin wrong to speak out against this crony capitalism idea? Not really. Then again, she has just tossed a mud ball at the guy with whom she supposedly is trying to curry favor. She wants a job in the Cabinet. I would say her chances of getting any nod in a Trump administration normally would be tossed into the crapper … that is, until I recall all those mean things Mitt Romney said about Trump during the GOP primary campaign. What does Mitt get for speaking the brutal truth about the president-elect? A nice dinner at a Trump-owned eatery and a possible nomination as secretary of state. I might be getting ahead of myself with this particular concern … but I’ll express it anyway. Donald J. Trump is said to be considering whether to consider Sarah Palin — yep, that one — for a spot in his Cabinet. She wants to lead the Department of Veterans Affairs. The one-time half-term Alaska governor wants to lead a huge department roiled in controversy. She wants the president-elect to put her in charge of fixing what is wrong with a massive federal agency charged with caring for millions of American veterans. I cannot think of a prominent American politician who is more unqualified for this task than Gov. Palin. Lord knows I’ve been critical of some of Trump’s other appointees: Jeff Sessions as attorney general and Betsy DeVos at Education are two of the more awful choices. Then we have the white supremacist Steven Bannon serving as Trump’s chief political adviser/strategist in the White House. Palin, though, would utterly take the cake. She is not a veteran. Her claim to fame is her failed bid to become vice president on the 2008 Republican ticket led by U.S. Sen. John McCain (who, frankly, would be a superb candidate for the Department of Veterans Affairs post). She had her stint as a reality TV celebrity, a Fox News contributor and the mother of children who have gotten into scrapes with the law. She quit the Alaska governorship halfway through her first term, citing the pressures of the job. Good grief, lady! You ain’t seen stress until you’ve tried to repair the Department of Veterans Affairs! As a veteran myself, I was horrified and personally offended by reports of vets dying while waiting for health care. The former VA secretary, retired Army Gen. Eric Shinseki, had to quit. The department is still struggling to regain its footing. The idea of putting Sarah Palin in charge of this project makes me shudder. The president-elect hasn’t said with absolute certainty that she’s on a short list for VA secretary. I hope he thinks better of it. As for Palin, my hope is that she recedes into the shadows. She has no business running the Department of Veterans Affairs. Palin emerges in Trump Cabinet search … finally! Sarah Palin has come out of hiding. The former half-term Alaska governor — and 2008 Republican vice-presidential nominee — now might be in the running for a spot in Donald J. Trump’s Cabinet. For what post, you might ask? Secretary of Veterans Affairs. And what, you also might ask, are Gov. Palin’s qualifications for that post? About the only thing I can come up with is that her son served a couple of tours during the Iraq War, then came home and got arrested on weapons charges, to which he pleaded guilty. Palin then blamed the Obama administration for ignoring veterans’ health care issues and suggested that was the cause of her son’s legal troubles. There you have it. That’s all the qualification the president-elect might need in this highly critical position. 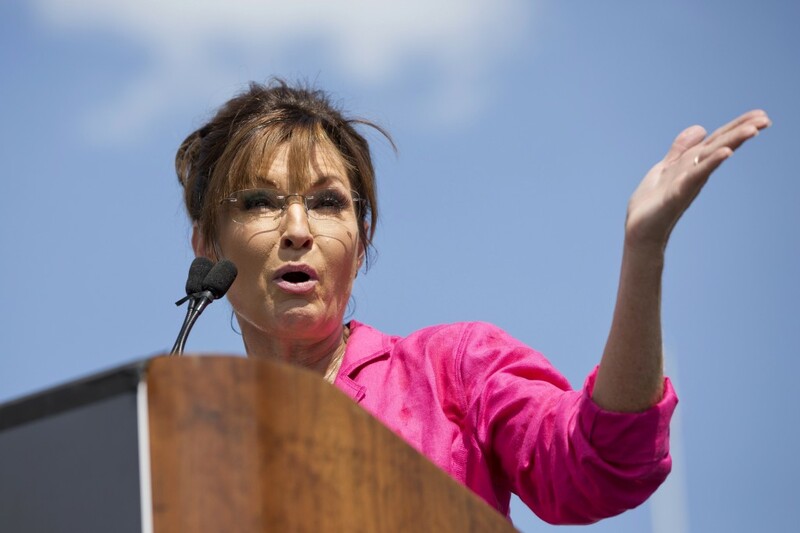 Palin has not distinguished herself since she and Sen. John McCain lost the 2008 presidential election to Sens. Barack Obama and Joe Biden. She has starred in her own reality TV show, been a contributor to the Fox News Channel, been the subject of some gossip tabloids, watched a few of her kids get into trouble with the law. My biggest concern for the president-elect, if he’s seriously considering Palin to head the Department of Veterans Affairs, is whether she’ll “go rogue” in the manner she did while running as Sen. McCain’s VP running mate. We keep hearing how Trump doesn’t much cotton to subordinates stealing his thunder. The way I see it, Palin has made a bit of a habit of doing that very thing. Still, the idea that Trump might even be thinking about placing Palin in his Cabinet suggests — to me, at least — that the GOP talent pool available to the president-elect is mighty thin. Where on Earth is Sarah Palin? You recall her, yes? The former half-term Alaska governor who long ago announced her support for fellow Republican Donald J. Trump. The former GOP vice-presidential nominee campaigned actively on behalf of House Speaker Paul Ryan’s primary opponent, who lost to the speaker by a million percentage points; she wanted to stick it to Ryan for his initial refusal to back Trump’s presidential campaign. Her Fox News gig has ended. Her reality TV show ended. Some of her children have been in “in the news” for less-than-flattering reasons. Palin’s former 2008 running mate — U.S. Sen. John McCain — is in a tough re-election fight in Arizona. She hasn’t even campaigned for him, for crying out loud. Oh, wait! McCain has gotten into a terrible public spat with Palin’s pal Trump. OK, so that’s out. In a perverse sort of way, I kind of miss listening to Sarah Barracuda making a fool of herself. Oh well. This hideous campaign is nearly over. Sarah, just know that at least one of us out here has missed you … more or less.